About O'Dell Hutchison (Author) : O'Dell Hutchison is a published author of young adult books. 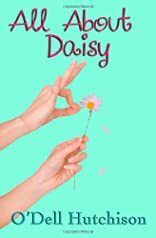 Published credits of O'Dell Hutchison include All About Daisy: Daisy Rose Brown - Book One (Volume 1) and All About Daisy. High School was the time for change, Daisy Rose Brown had plans, well a list of things she wanted to accomplish her freshman year at Glenmark High. Some of the things on the list were admittedly just dreams, but some should be attainable with work and some luck, she just didn’t want to be invisible anymore. First day of school did not start well, running late because of having multiple embarrassing accidents, missteps and mistakes that her middle school tormentor took advantage of but that also introduced Daisy to Ms. Reed, the only bright spot of the day. As the year got underway, things really started to look up when Russel Bryan, Daisy’s middle school crush, started talking to her and then so did popular girls Meghan and Cyndi. Well on her way to checking off several items from her list, Daisy was enjoying her new found popularity and friends when suddenly things changed again. Between mean girls, ignorant parents and a naive Daisy, she grows up a little when she learns some hard lessons, not in a schoolroom. As high school students go, Daisy Rose Brown is very relatable. Seeing the different types of bullying take and adult reader (me anyway) right back to high school. Hard to sometimes remember that this is the type of situation some of our young ladies have to deal with, or worse. This book is tagged as a Young Adult, it is about young adults, she may be only 14, but with the occasional language and some of the content, the older end of the young adults would be more appropriate, in my opinion. This story is slow going, lots of set up time and then the truly terrible moments are done with quickly. 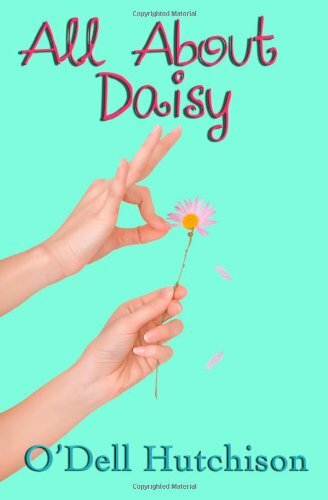 Several significant things happen to Daisy, both the good and the bad kind. After she had finally had enough, her outburst is enviable in it’s simplicity and effectiveness. Enjoyed the emotions of it, just wish the emotions could have come through earlier, had to wait nearly 300 pages to get to the good stuff. The author tells of a next installment to the Daisy Rose Brown series and gives a website (which I have not yet visited). Turned out to be pretty good coming of age type story that I would be willing to read the next one of.